Free speech includes the the freedom to to talk about products before we buy them. In economic terms, we need price transparency and product transparency. Sadly there is very little "useful" free speech about medical treatments. Right now it's like going into a grocery store and seeing cans without labels. We pretty much have no idea what's in the can! 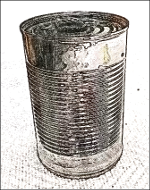 Close your eyes and imagine walking into a grocery store and seeing row after row of cans without labels. That's the situation in healthcare today. There are no labels are on anything...at least not any understandable labels. We need to start putting labels (product transparency) on medical treatments! Why don't we already have labels on our cans? Why don't we already have product transparency for medical treatments? Why don't we know whether that chemotherapy is 90% effective for patients like us or 1% effective for patients like us? Why don't we know if that treatment for insomnia is 99% effective or 30% effective? The problem is that those who consume medical treatments (patients) don't understand medical statistics. In addition, studies show that those who provide medical treatments (physicians) mostly don't understand treatment effects either. We have the blind leading the blind! Thus, when it comes to medical treatments there is very little treatment transparency. It's UNACCEPTABLE! We must fix treatment transparency for patients, doctors, and nurses. We need to help patients! Patients are suffering from health illiteracy, medical scams, under-treatment, over-treatment, mistreatment, and being lied to with statistics. It’s horrible. 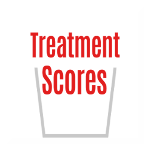 How to explain Treatment Scores? Well, every year we figure out our “gross income” and “net income” when we do our income taxes. 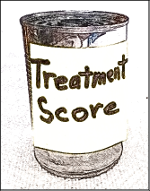 So, we simply figure out the “gross treatment benefit” and the “net treatment benefit” for patients as digested from the medical literature. Follow this blog by submitting your email address into the box near the top right.